To meet our customer requirements, it is our policy and commitment to consistently supply a high standard of quality and integrity. We shall continually endeavor to improve performance through understanding by listening to our customers. Our objective, through continuous improvement and innovation, is to maintain a recognized standard of quality, service, reliability, value and integrity, and to meet or exceed our customer requirements of inspection service quality. All functions within Engineering & Inspections International is to hold health, safety, customer satisfaction and the environment as our highest priorities at all times. 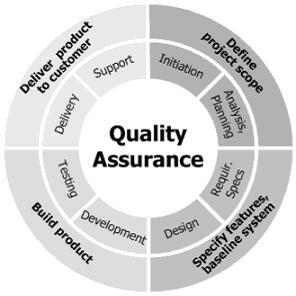 Implementation of quality involves all levels of personnel in Engineering & Inspections International. Our quality program has been developed to meet the nature of our business and the specific requirements of ISO 9002 1994.